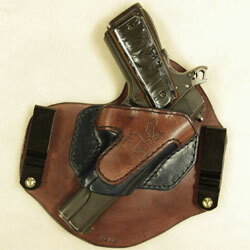 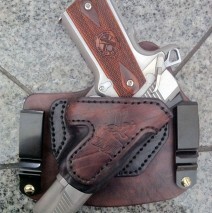 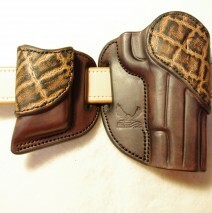 Thank you for doing such a beautiful job with my Bond Arms Holster. 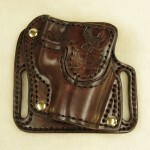 It fits my Texas Defender like a glove and will work perfectly for a driving holster. 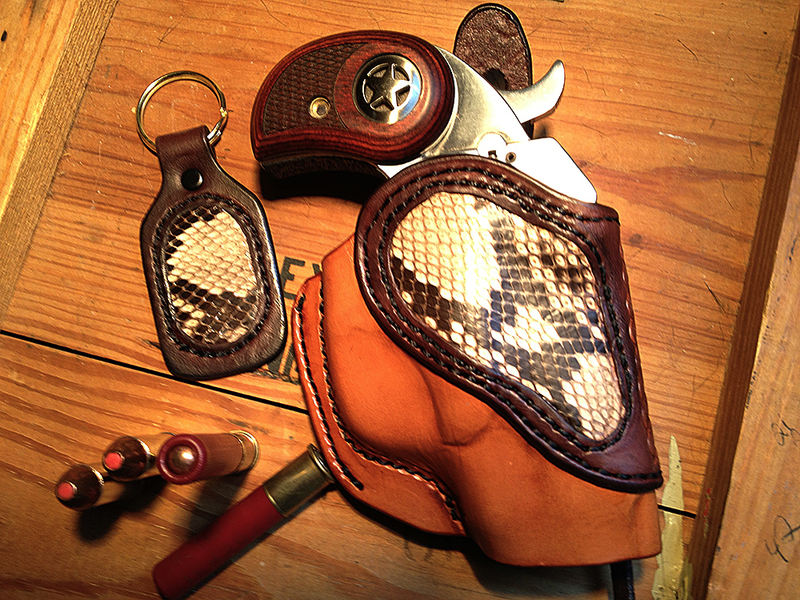 The leather is gorgeous, the snakeskin inlay came out better than I had hoped and it is absolutely cemented to my 1.75″ gun belt. 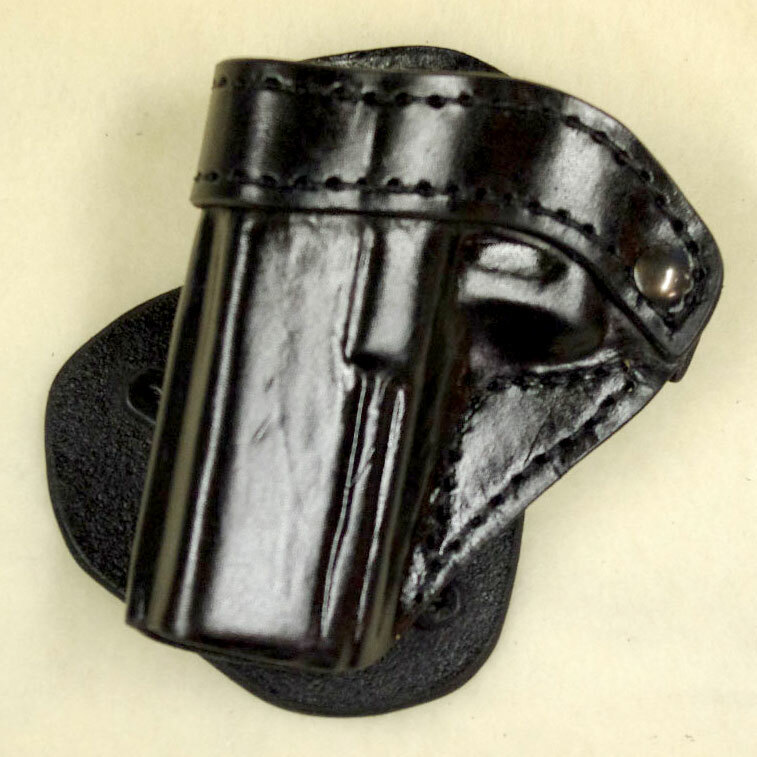 I don’t know how you do it, but your leather holsters are more fitted and stouter than any Kydex holster that I have ever used. 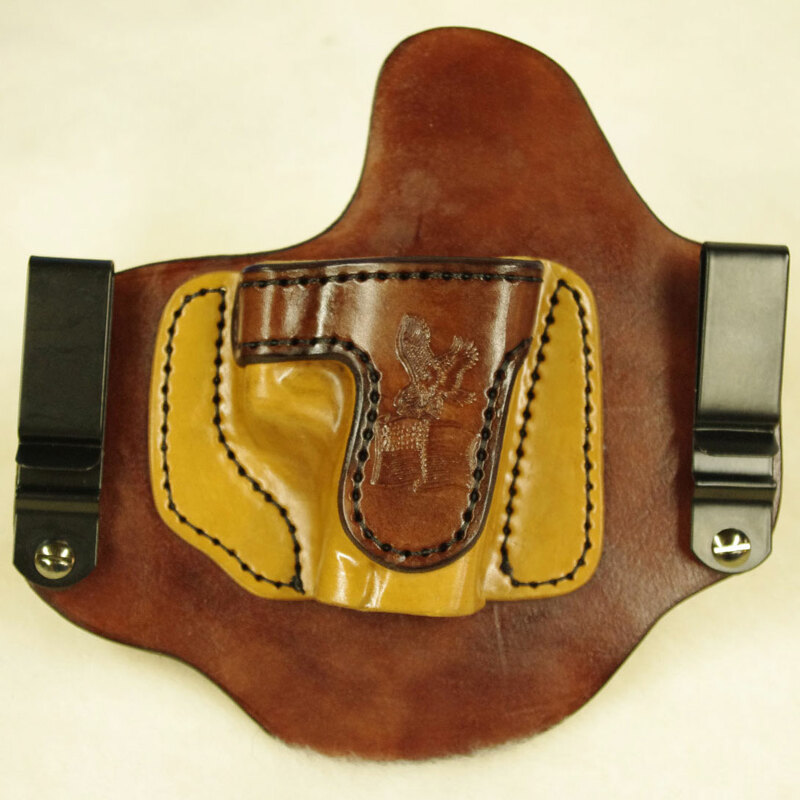 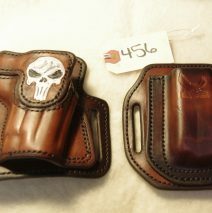 One more thing…even though you couldn’t promise me a lead time because this was a custom order, and it took almost a year, the quality and craftsmanship of your leather holsters is well worth the wait.